The battle of the end of day discounting takes place in the Westfield Shopping Gulag in Hurstville on a Sunday afternoon. 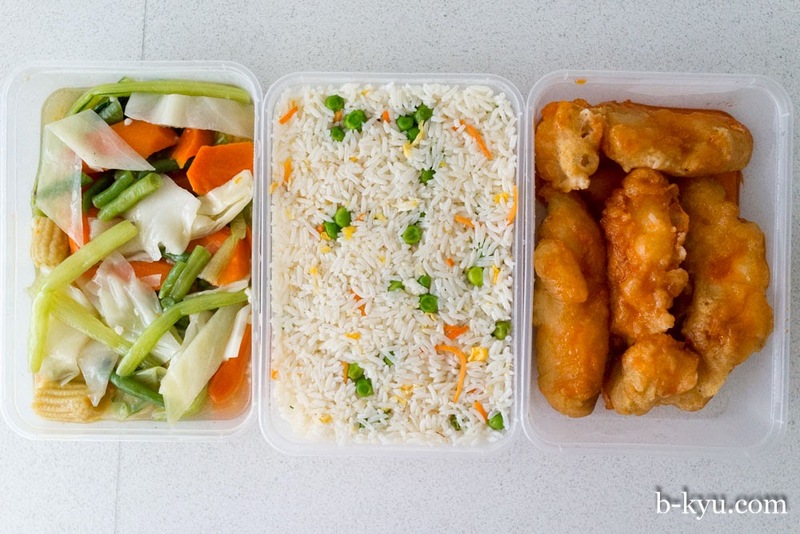 We grab a bargain throwback of a Chinese feed for only $7. 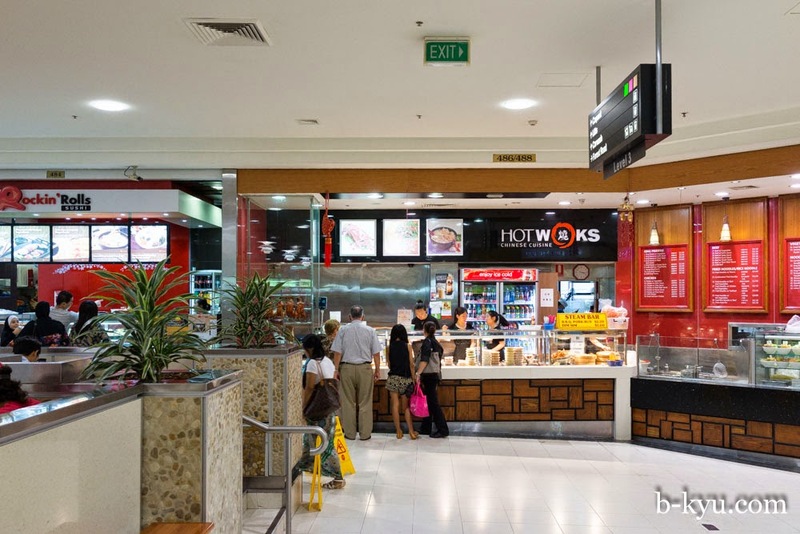 We don't usually loiter in the food court at Westfield in Hurstville, at least not since Yoshinoya closed down many years ago. But taking a short cut through on a Sunday we noticed there's a battle for discount Chinese food going on at the end of the day. Two stalls opposite each other heavily discount their food into takeaway containers and man oh man are they cheap. The regional specialities here go about as far as a country RSL bistro menu, it's Aussie Chinese at it's oh-so-glorious best (or worst). We could have gone the lemon chicken for $5.50. We could have chosen the satay beef for the same. We might have stumped up for the chicken wings at 2 for a $1. But at only $2.50 for a container of vegetables, $2.50 for a container of fried rice and $2 for a serve of deep fried fish and sweet and sour sauce, our dinner was sorted for the measly sum of $7. While the fish went a bit gloopy, the veg was crisp and the fried rice not overly oily. A spoonful of ba bao chilli sauce with tiny peanuts and the whole meal was even more passable for a lazy Sunday night dinner. A glass of vino and a Monty Python special on the tele and we were happy. 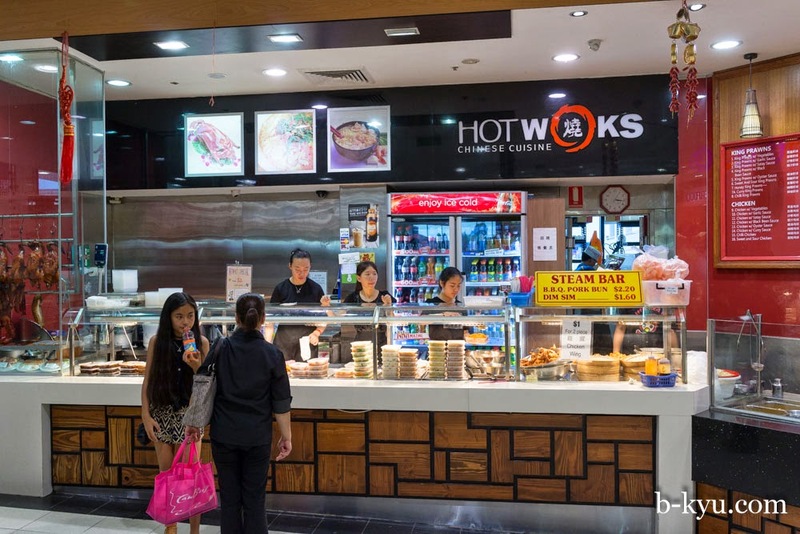 Hot Woks Chinese Cuisine is at Shop 486, Westfield Hurstville.